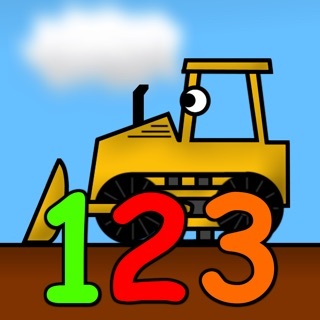 If you have a preschooler just starting to learn shapes and colors, this is the perfect app for you! 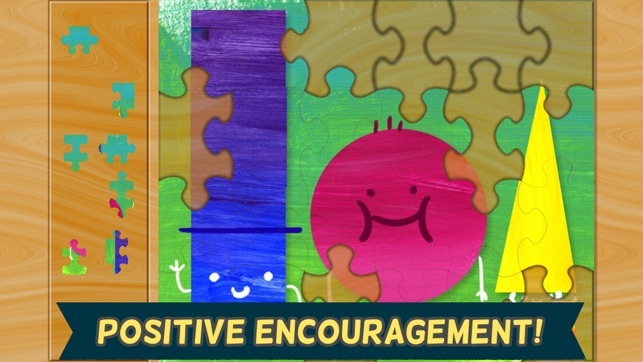 12 clever and colorful puzzles will delight, entertain and educate your young boys and girls as they learn to identify basic shapes and colors. 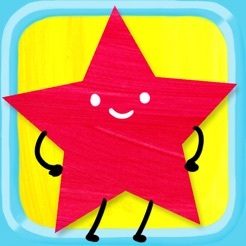 Circles, rectangles, octagons, triangles and stars- this app has it all! 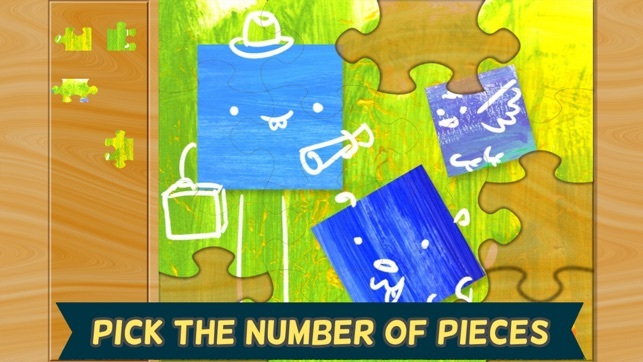 Whimsical drawings transform these basic learning concepts into fun characters that come to life when a puzzle is completed. See a square businessman do a little dance with his square puppy, check out aliens hovering in their hexagonal spaceships and an oval fish and a rectangular whale under the sea! Garden bugs and snails crawl around while a trio of stars dance and fly through the sky, and series of circular cats bounce and twirl, and a trio of square, circle and triangular friends wave to say hello. 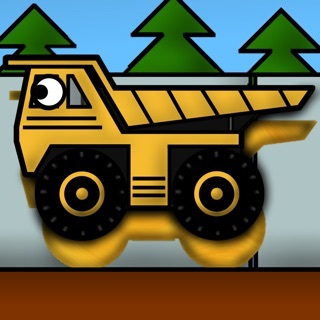 If your child is in preschool or kindergarten they will love this fun educational game! 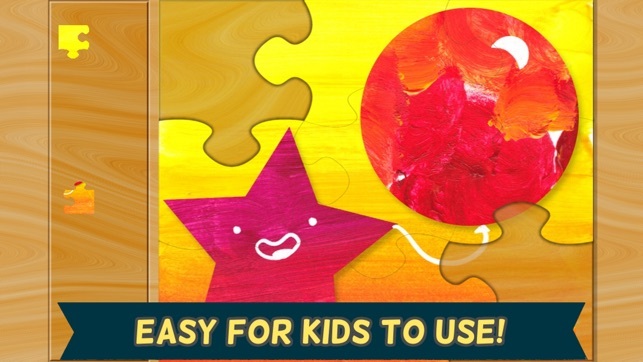 Kids will love these puzzles for the bright colors, funny characters and appealing animation, parents will love the app for its safe, kid-friendly environment. * 12 different cute shape puzzles to choose from! 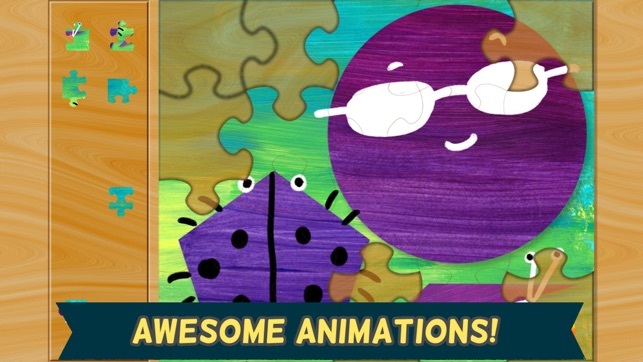 * Fun shapes to pop at the end of each puzzle! - Does include links to apps by Scott Adelman in the App Store (via Link Share/Georiot) and links to apps by Laura Tallardy. 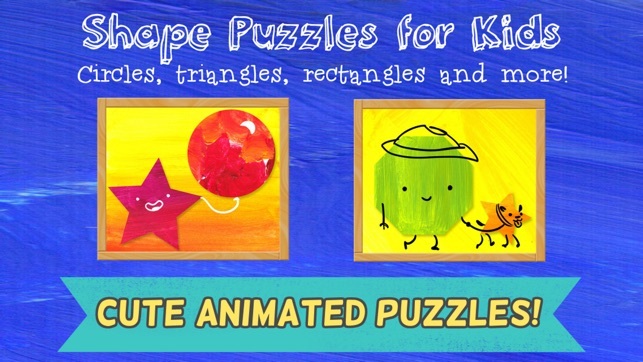 Thanks to all that have enjoyed Shape Puzzle for Kids! 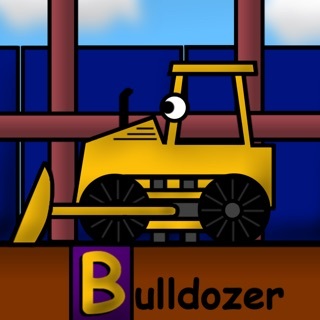 If you have a minute, please consider reviewing the app. Your reviews mean a lot!